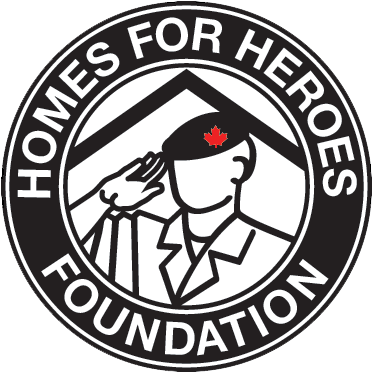 All homes within the Homes For Heroes communities will be named after one of our many Canadian military heroes and this is an opportunity to recognize and celebrate these heroes. By having each home named after one of our Canadian military heroes, we are asking the veteran resident to pay his or her respect to these personnel by committing to the process of recovery and a successful transition. We are confident that the term “Heroes” will resonate with all Canadians and serve as a benchmark for future success of the project throughout Canada. Each home will have an approximate foot print of 250 square feet and will be fully supplied with all the comforts of a larger home. The small, but functional, kitchen will include a fridge, oven, sink, built-in storage, and a breakfast bar/work station. The three piece bathroom will feature a shower/tub, toilet, sink and additional storage. The living area will include a dual function sofa / Murphy Bed and storage. Each unit will include basic cable, Wi-Fi and a telephone line. Tiny Home Designs: Each home within our community will be named after and in honour of one of our Canadian military heroes who died in combat. The names of the tiny home designs in our first village are derived from some of the regiments within the Canadian Military who these heroes served with.